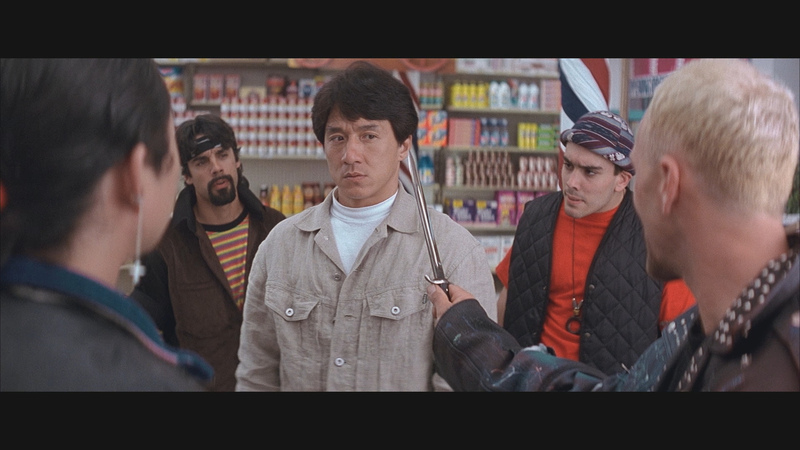 Description: No one brings more death-defying entertainment to the screen than fearless martial arts superstar Jackie Chan (Rush Hour 2). In this awe-inspiring and highly amusing action-thriller, Chan outdoes himself with the most eye-popping stunts ever filmed, each more amazing than the last. Chan plays Keong, a Hong Kong cop who gets more than he bargained for when he visits relatives in a crime-ridden section of New York. Soon Keong is brawling with Mafia kingpins and unleashing his lethal skills on unsuspecting thugs. From the first astonishing action sequence to the last, in which Chan is matched against a giant hovercraft in a deadly show of brute strength. 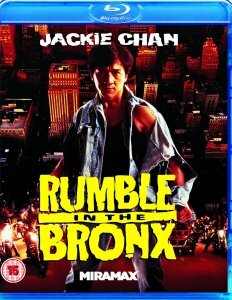 After years as a major star in most of the rest of the world, Jackie Chan finally broke through to stardom in the United States with Rumble in the Bronx, a dubbed and re-edited version of Hung Fan Kui. 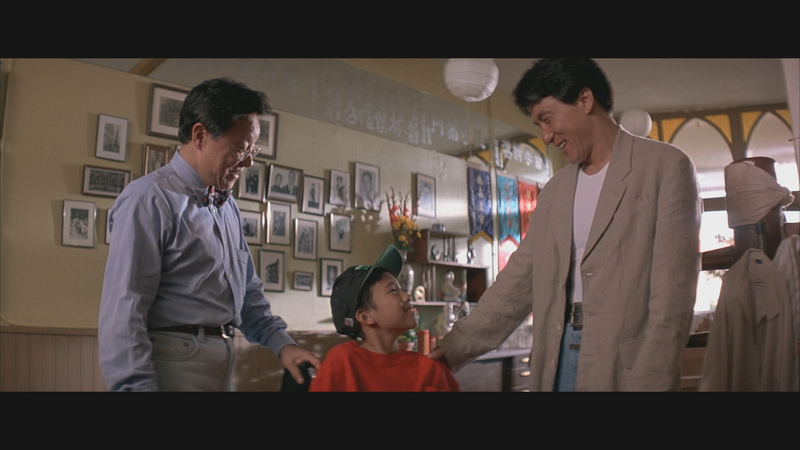 Here Chan plays Keung, a police officer from Hong Kong who travels to New York to attend the wedding of his uncle, Bill (Bill Tung). Bill has just sold his grocery store to Elaine (Anita Mui), and Keung finds Elaine to be a pretty good reason to extend his visit to New York. However, a mean-spirited and fashion-challenged street gang has moved into the neighborhood and is demanding protection money from the local storekeepers. 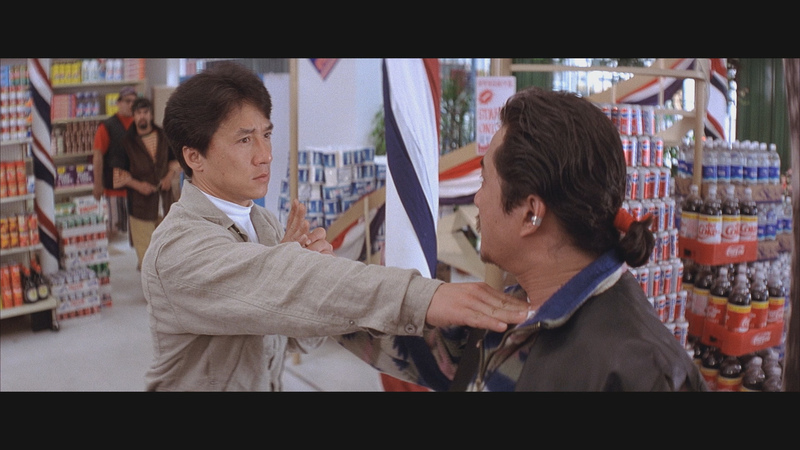 Elaine is ready to sell the store and move on, but Keung is determined to show the toughs that he's not about to be pushed around. Things get even more sticky when the hoods are on the trail of a lost cache of stolen jewels. 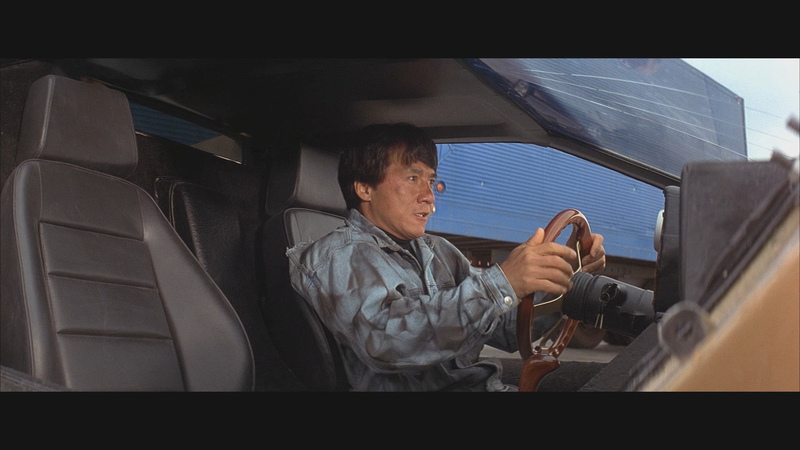 Actually shot in Vancouver, this is the Jackie Chan movie which finally cracked the US market, grossing some $28m on first release. 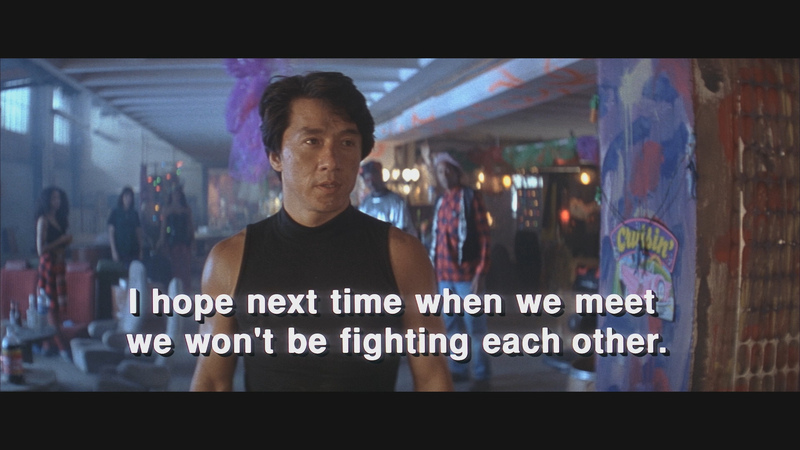 Chan plays a Hong Kong cop visiting NYC for an uncle's wedding; he tangles with a multi-ethnic street gang and then teams up with them to defeat ultra-vicious Mafia types bent on retrieving some stolen gems. 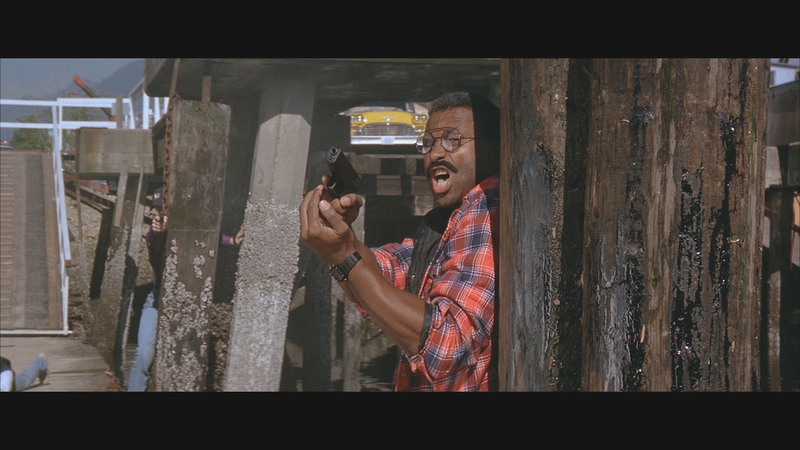 Not the best of Chan's large-scale action comedies: the big set-pieces (the demolition of a city building, a hovercraft rampage through downtown streets) strain for effect. 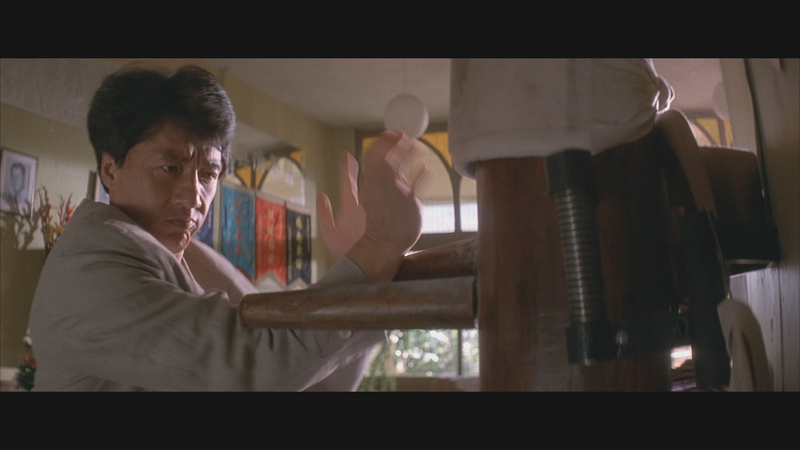 But Chan's insistence on his own fallibility and vulnerability, taken with virtuoso scenes like the fight involving 101 domestic appliances, shows why he means more to his countless fans than six US action stars put together. 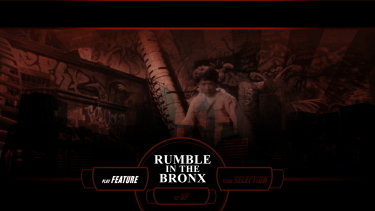 Rumble in the Bronx gets a 1080P transfer to Blu-ray from Studio Canal. It's single-layered but and has a strong bitrate for the 1.5 hour feature. The HD visuals have some strengths but is not very dynamic. Generally the image is flat and colors a bit faded with some modest examples of depth sneaking through. It is a notch superior to SD, but a smaller notch that we would have liked. It is the contrast, or print density, that may be the culprit. This Blu-ray is rather unremarkable video-wise - although it has no major, transfer-related, flaws. NOTE: This is the shorter version - there is a 104 minute cut existing out there. Audio has two options - a linear PCM stereo at 2304 kbps or a DTS-HD Master 5.1 at 2495 kbps. Effects exhibit some separation (in the surround) and everything is relatively clean. I din't note a lot of depth. The score is by J. Peter Robinson and Nathan Wang and sounds typically 'Jackie' - not too heavy. It is clean and reasonably tight. There are no subtitles and my Oppo has identified it as being a region 'B'-locked. Bare-bones Blu-ray that doesn't even offer a trailer. 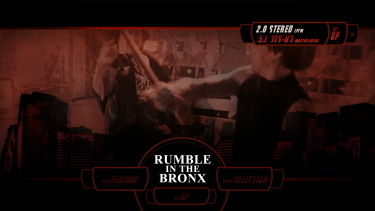 Rumble in the Bronx is probably my favorite Jackie Chan film. 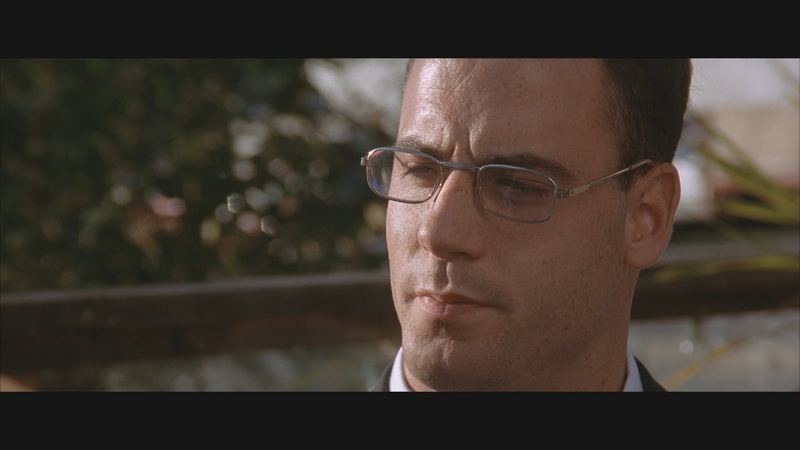 The Studio Canal Blu-ray doesn't offer anything beyond the, modest, 1080P and lossless presentation. I still enjoyed the film - as did my two boys - but is far from an 'impressive' HD presentation. 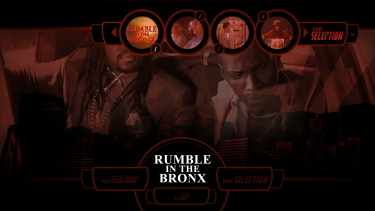 It's hard to be too harsh and the film is a lot of fun. 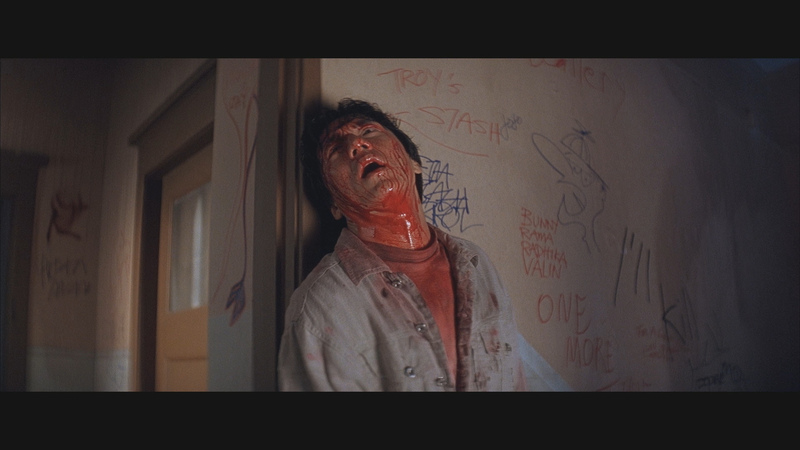 I suggest waiting for another Blu-ray release.